Wish you all a very happy Yugadi (Ugadi). I normally do not make anything special for this festival. But I read so many wishes on blogs/Facebook etc, I felt like making something special. As I have mentioned many times, none of us in the family have any sweet tooth. V atleast eats sweets, but Ishaan and I stay away from it. When I started thinking about it, I wanted to make these polis. 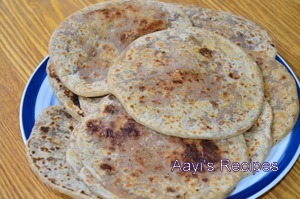 I have heard about them many times and I have distant memories of tasting them at a friend’s place in Belgaum. Well, I tried them and they came out really great. I shared some with a friend who loved them too. V, who does not like anything with peanuts (except for peanut chutney pitto which is a favorite), enjoyed them a lot. 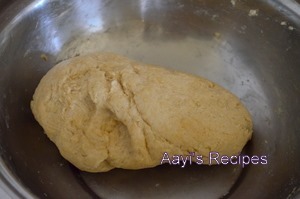 Make a dough with wheat flour, all purpose flour, about 2 tea spns oil, salt and water.Â (I added about 1 and 1/4 cup water approx). Knead very well for a while, close it and keep it aside for about 1 hr. 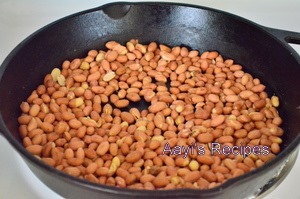 Roast the peanuts, let them cool to room temperature and then powder them. Try to make a fine powder as much as possible. 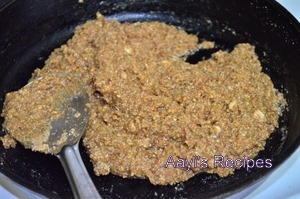 Mix the powder, ghee, brown sugar(or jaggery) on a medium-low heat. Let the sugar melt down and mix with peanut powder. Add milk, mix well and switch off heat. At this point the mixture will be quite wet. Let it come to room temperature and it comes to a consistency where it can be easily handled. 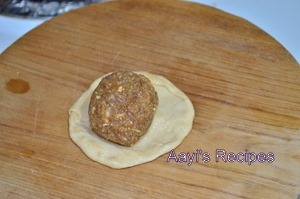 Make small balls of the dough and stuffing – the stuffing ball can be made almost double the size of dough because the dough stretches when rolled. 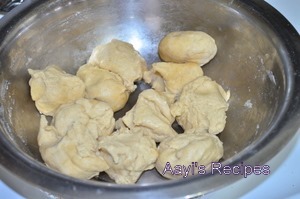 (With above quantity, I made 11 balls each of stuffing and dough). 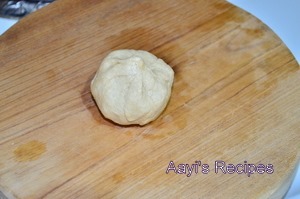 Apply some oil to the dough and spread it on your palm. Keep the stuffing on it and cover with dough. 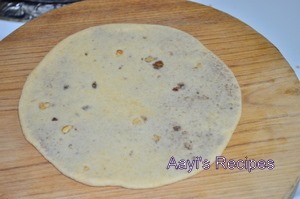 Roll into a small chapati size. 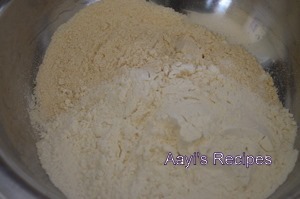 You can use wheat flour for dusting if needed (many people use oil to help in rolling, I used flour). Roast them on hot tava. Apply some ghee (optional) while roasting. 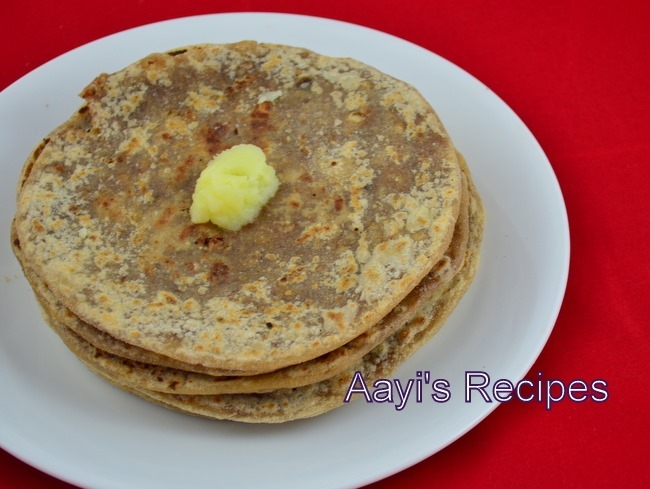 Serve with a dollop of ghee. (When cooled, they harden a bit, heat them up a bit in microwave and they go back to being very soft). 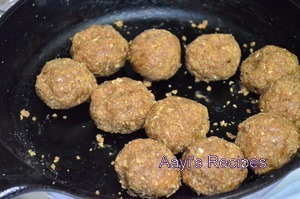 lov this recip.. will try it soon! 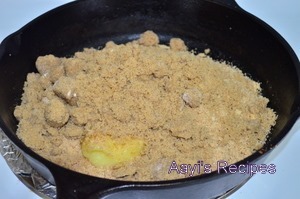 tried your recipe………………..turned out deeeeeeeeelicious!!!! love your website too.